Shipping Weight: 1000 units at 28.5 lbs. 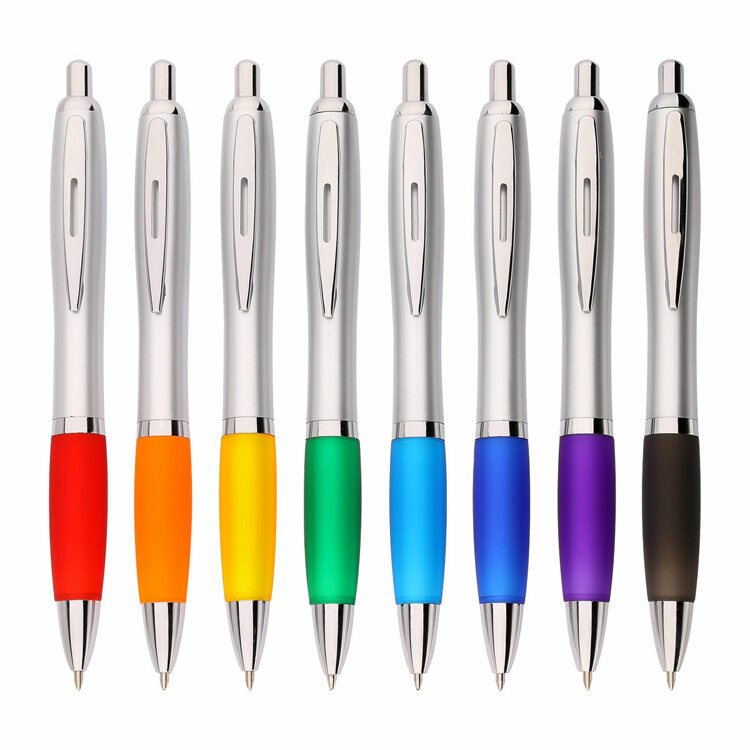 Silhouette Satin Grip Pens from JAVLEINPEN.COM combine the click pen with the colorful grip pen. Toss in chrome accents and a silver barrel, and these retractable pens become unstoppable, low-cost writing instruments! The Silhouette Satin Grip Pen makes a bold statement in an otherwise drab advertising environment. 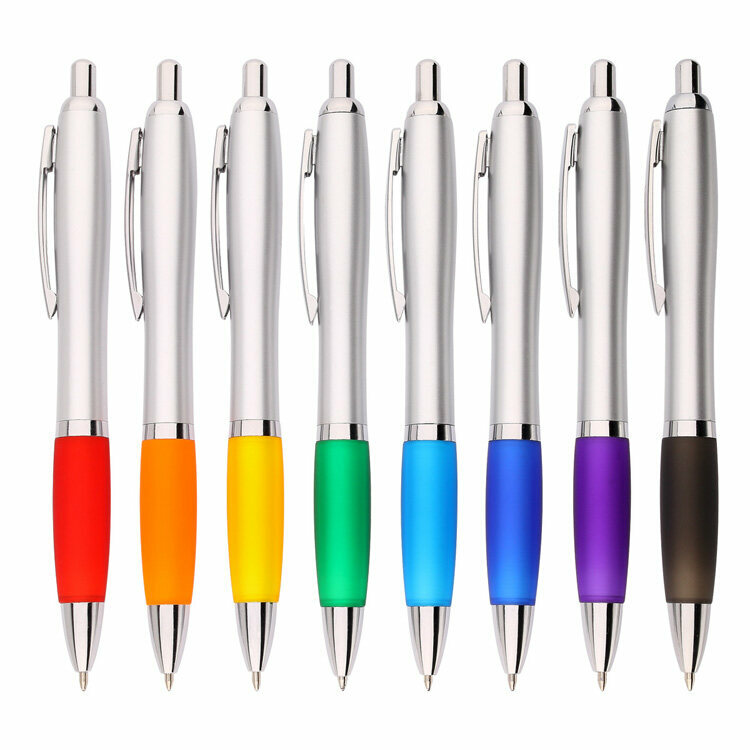 These fun clicker pens are available in a variety of comfy thumb grip colors. They cast a shadow over comparable grip pens on the market, that's for sure. And you thought promotional silver pens were boring! 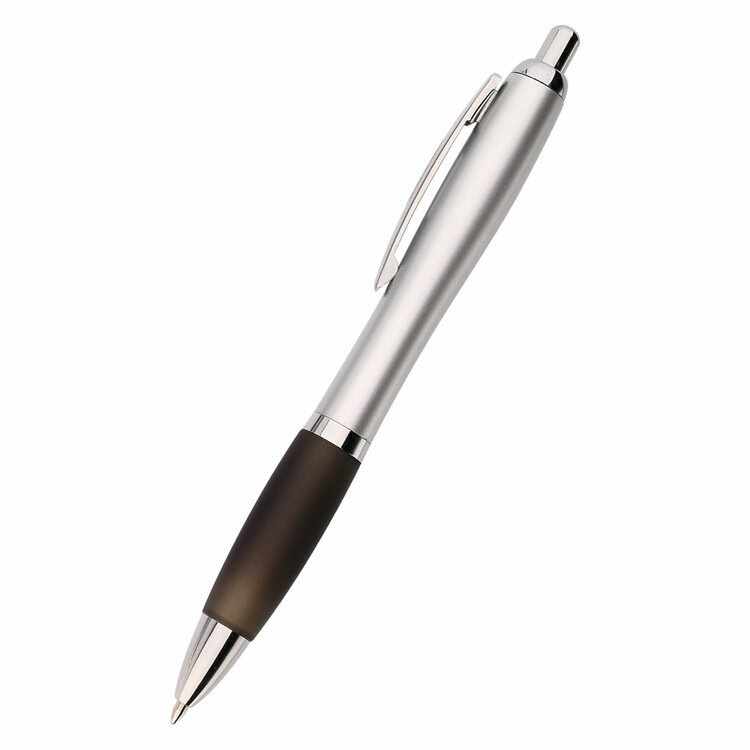 The curved barrel of this classy pen fits comfortably in your hand, while your fingers rest on the satiny grip. Your customers won't want to put down this pen once they feel the soft comfort it provides. 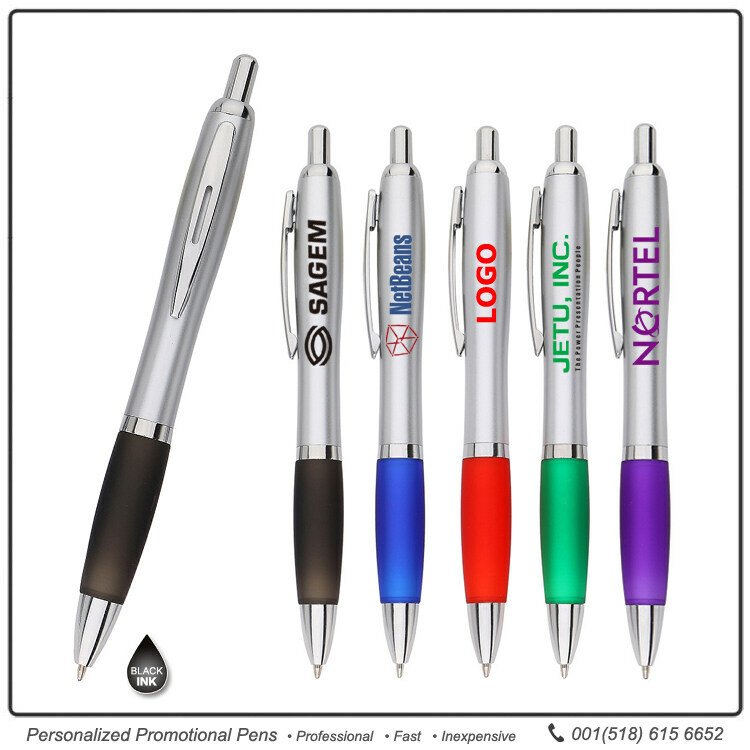 The contoured satin silver band on these personalized pens adds another touch of class. You'll love working with the experts at JAVLEINPEN.COM to customize your logo and imprint information. 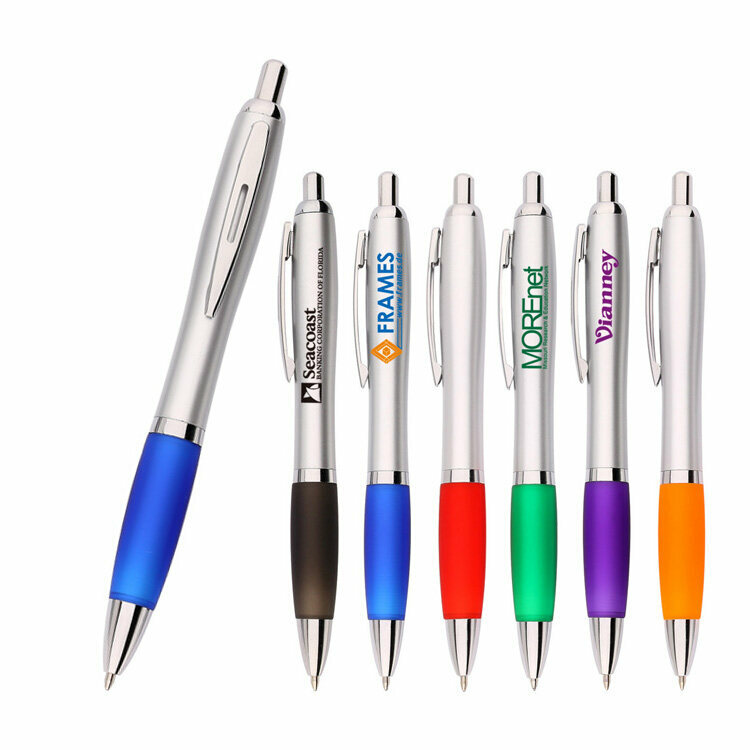 Purchase these Silhouette Satin Grip Pens from us today and you'll get a low price guarantee! Like our Silhouette Satin Grip Pen? Then check out The Nash Pen, too! I really liked the look and design of the pen itself. We liked the ultimate product! I was very happy with the overall product! Promo use. Lighter on the wallet and still a good product. This pen is beautiful! It exceeded my expectations. It looks classy but is affordable to our tiny budget. I can assure it will be a repeat order. Thanks! Smooth writing and logo looks exceptionally nice on this product. Writes well, looks professional, love the black ink.